The civil lawsuit, filed in Circuit Court of Cook County, Illinois, comes two months after Lion Air Flight 610 took off from the Indonesian capital of Jakarta and crashed into the ocean minutes later, killing all 189 people on board. The plane, a new Boeing 737 MAX 8, was carrying 181 passengers, six cabin crew members and two pilots. It was heading for Pangkal Pinang on the island of Bangka. Boeing declined comment on the pending litigation, according to spokeswoman Caroline Hutcheson. A preliminary report into the crash released by Indonesia’s National Transportation Safety Committee in November found that the Lion Air pilots engaged in a futile tug-of-war with the plane’s automatic systems after taking off. Data retrieved from the flight recorder showed the pilots repeatedly fought to override an automatic safety system installed in the Boeing 737 MAX 8 plane that pulled the plane’s nose down more than two dozen times. The Boeing aircraft’s sensors improperly caused the plane’s automatic anti-stall system to lower the nose of the plane and cause it to dive steeply and crash. 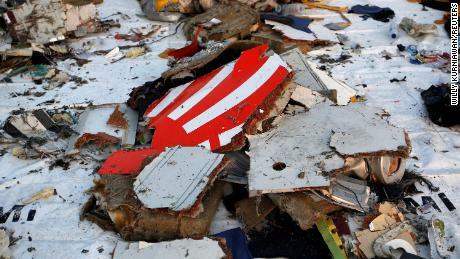 The aircraft’s anti-stall system and flight control systems failed to timely respond to pilot control of the aircraft. The aircraft’s manual did not have proper instructions, policies and procedures for taking over the aircraft when these systems malfunctioned. The lawsuit asks for a jury trial. According to the preliminary report, a different flight crew experienced the same issue on a flight from Denpasar to Jakarta the previous day. However, that crew turned off the automatic safety feature, known as the maneuvering characteristics augmentation system (MCAS), and took manual control of the plane. The feature is new to Boeing’s MAX planes and automatically activates to lower the nose to prevent the plane from stalling, based on information sent from its external sensors. Indonesian investigators have already pointed to issues with the plane’s angle-of-attack (AoA) sensors, which had proved faulty on earlier flights. AoA sensors send information to the plane’s computers about the angle of the plane’s nose relative to the oncoming air to help determine whether the plane is about to stall. The parents of Lion Air passenger Dr. Rio Nanda Putrama sued Boeing last for its alleged “unsafe design” of the aircraft. CNN’s Critstina Alesci and Euan McKirdy contributed to this report.